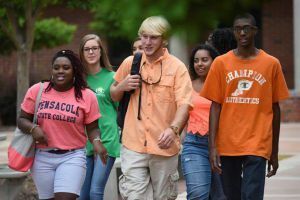 There’s still time to take a class during Pensacola State College’s spring session D that runs March 7 through May 8. Registration is now open for an array of PSC courses that can be completed in this eight-week session. Students may register online at www.pensacolastate.edu or at any PSC location. Admissions offices are open from 7:30 a.m. to 4 p.m., Monday through Friday. For more information, call the Admissions and Information Center at 850-484-2544.